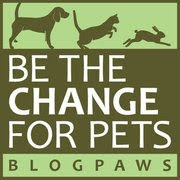 Animal Wise: Book Review And Giveaway! 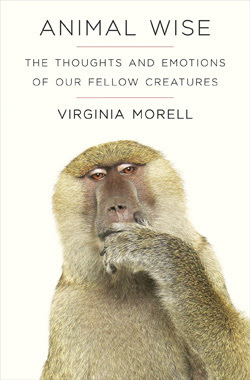 We're thrilled and honored to review this fascinating new book by famed science writer, Virginia Morell: Animal Wise, The Thoughts And Emotions Of Our Fellow Creatures. See the details at the end of this post to enter to win a copy! First, a behind the scenes tidbit: Parental Unit was lucky enough to attend two writing conferences a few years ago where Ms. Morell was speaking, and was instantly taken with her depth and breadth of knowledge, not just about putting words on paper, which in Morell's capable hands rises to an art form, but about the sciences and those who study them. Her intense interest in, and seemingly endless passion for animals shone through her lectures and personal conversations, and by the end of the conferences, we knew all about the wild and domesticated animals she'd encountered on her far-flung journeys, and of course, Buck, her beloved collie and Nini, her calico cat. And believe it or not, Ms. Morell was generous enough to hand-deliver a student's thesis paper to a scientist she thought could help. Thank you, again, on behalf of Parental Unit and her student! O.K., enough about us, and on to Animal Wise, where Morell takes us to Jane Goodall's study site in Tanzania, interviews a man who studies fish cognition in Germany, visits Kenya for close-up elephant observations, and wings it to Hungary and Austria to chat with wolf and dog researchers. Morell sets out to discover the cognitive and emotional abilities of our animal kin, and in the process, reveals that ants have hierarchical, teaching communities, rats laugh when tickled, and a parrot can have a deep, emotional relationship with his caretaker (the famous parrot, Alex, and Dr. Irene Pepperberg) And according to the latest data, it's no longer whether other creatures think, but how and what they think. Animals have minds. They have brains, and use them, as we do: for experiencing the world, for thinking and feeling, and for solving the problems of life every creature faces. Like us, they have personalities moods and emotions; they laugh and they play. Some show grief and empathy and are self-aware and very likely conscious of their actions and intents. Morell's access to the world's most important animal researchers, combined with her powerful story-telling abilities, gives the reader what feels like a first-hand glimpse into the minds of these glorious creatures with whom we share our planet. And learning that "our fellow creatures" think, feel, and yes, even love like we do makes us all the more determined to understand them better and work for their protection. We hope you are similarly moved after reading Animal Wise. One lucky winner will receive a hardback copy of Animal Wise, The Thoughts And Emotions Of Our Fellow Creatures. Here are the requirements to enter: No anonymous comments, please! 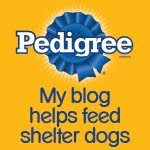 This contest will run from today, April 29, 2013 through Saturday May 11, 2013, at 8:00 EST. We already have it. Great book. Have a terrific Tuesday. Sure it is a pawesome book! It sounds like a wonderful book! We won your last book give-away so we're not going to enter this one. I would love to win this book out and share it after I'm done with it! I'm reading a book now that explains about how dogs think and feel and how they perceive the word...how they smell on the air about what's to come and how they smell on the ground about what was, it's so interesting!